Not to be confused with a Filter’Tron or a Filter’Tron in humbucker sized clothing the Non’Tron is, well, not a Filter’Tron. It is it’s own thing and a unique design among humbuckers. But it absolutely looks like a PAF sized ‘Tron. And so it’s called the Non’Tron. My thinking is: you can get a Filter’Tron sounding pickup from just about anywhere. 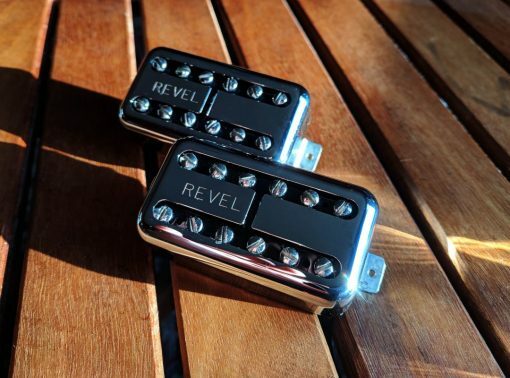 But you can only get the Non’Tron from Revel Custom Pickups. The Non’Tron is a bright, smooth, and chewy humbucker. They are incredibly dynamic humbuckers that can cover everything from single coil tones (without the hum!) to dirty blues. The Non’Tron has some of the bite of a ‘Tron and some of the jangle, but it also has harmonic complexities unique to itself. The bridge has a magnificent bark and both positions have an open texture. Corporate marketing hype has made it mostly necessary to include sound clips and resistance specifications. Both have very limited meaning and are, in many ways, lies. The best player can make the lousiest guitar loaded with the cheapest pickups played through the lamest amp sound downright amazing. For that reason I feel that clips are misleading. 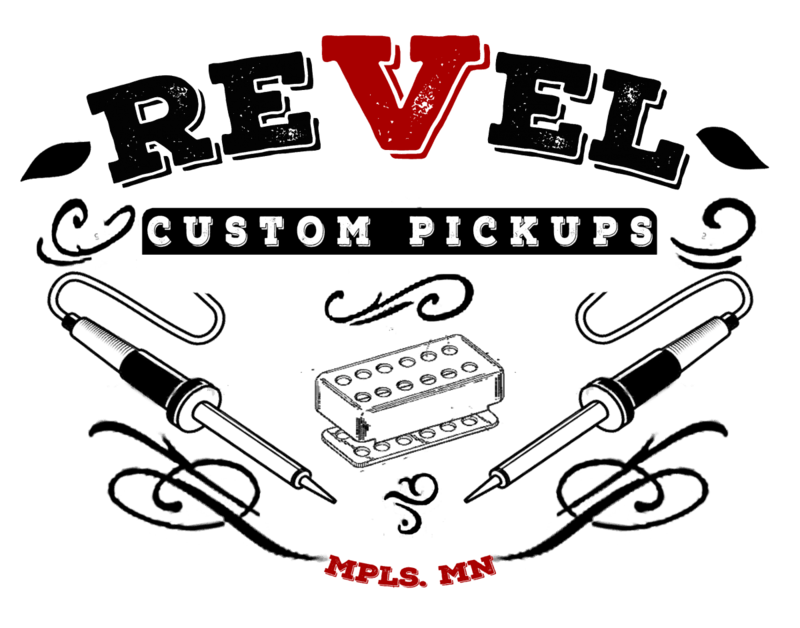 Clips let you hear almost everything except the pickup and primarily the amp in a controlled environment that’s not readily reproducible. Please take these thoughts into consideration. I just put a pair of these in an epiphone that plays great but it’s pickups kept it in the rack. With the Non’trons, I haven’t stopped playing it. Just awesome pickups. Very sensitive and dynamic. The tone is clear and has a great texture. They give up an incredible range of tones – I’m using a blender switch with the G&L passive bass tone, and it seems like I can find something musical and very usable across the the settings. The clean tones are unbelievable, and I can go from good country tones to a nice warm jazz tone that retains a lot of clarity with the tone closed. Chords are clear, each note is clear. Adding dirt gives up new tones, from warm and bluesy to mean and raunchy – really good for a harder edge rock tone. And the kicker is that Jesse is great to work with – incredible customer service. The pickups themselves are gorgeous. Great, careful work was done on these, and attention was paid to every detail.